Bibliophiles Anonymous #48 – Where’s the Snark? 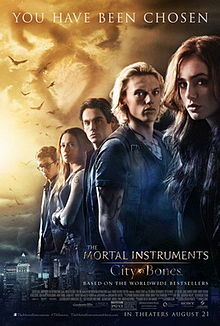 In this episode of Bibliophiles Anonymous, we discuss the greatly anticipated book-to-movie adaptation: The Mortal Instruments: City of Bones. Both of us had pretty much the same opinion – what they did right was really good, but way, way, WAY overshadowed by all the stuff that missed the mark. We talk casting, characterization, screen writing, direction, plot holes, and a whole lot more. To say we were disappointed was an understatement. Also, this episode is pretty spoilerific for both the movie and the book, so you have been warned. Be sure to let us know what you thought of the movie. Email us at bibliophiles.podcast@gmail.com or find us on Twitter @BibAnonPodcast. You can also join in the discussion at the Mortal Instruments thread over at the Mallorean Tavern, which you can find here.